Do something, even if you miss the mark you are further ahead than you were before. This is something I had to learn the hard way (yet, again). I've learned that what I do does not have to be perfect and polished, it just needs to be done. I can go back and perfect things later. Creating things that need gradual improvements, sharing what you can right now, allows others to see what you are at least "trying" to do. It is much better than creating nothing at all. I know, I know, there are people out there with the philosophy that if you expect nothing you will not be disappointed. But there is a problem with this thinking. Expecting nothing and aiming at nothing are two different things. People get caught up in the idea that expecting nothing means doing nothing . . . that's not the case. You can do something, you can aim for something and still have no expectations. Yes, they are two separate actions - two separate things. Get this in your heads people, it's perfectly fine to hold the philosophy of expecting nothing so you are not disappointed. What is not acceptable for growth and happiness is doing nothing. Do something new. 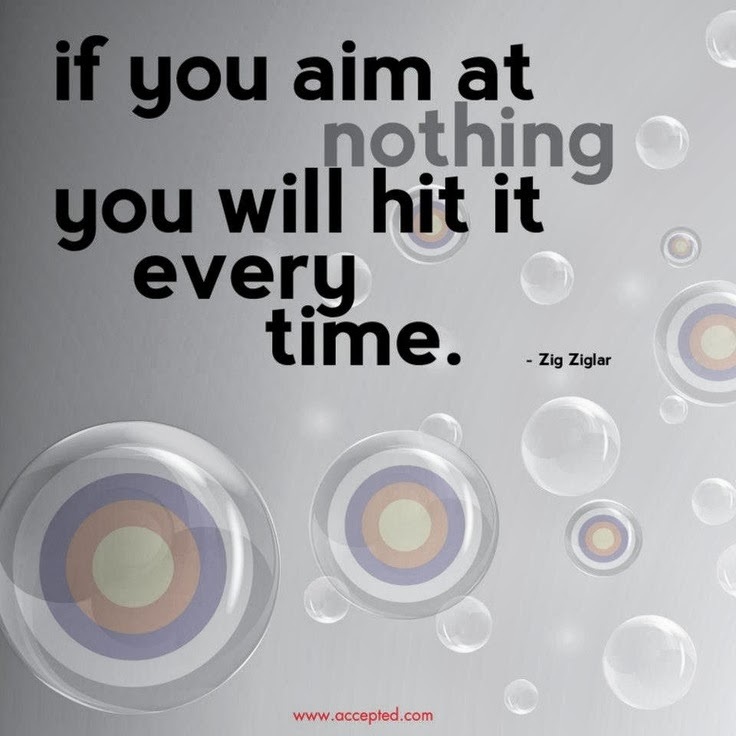 Aim at something, with no expectations on results and see what you get. You may be pleasantly surprised. 1. When a four day weekend is not enough. 2. When your kids have a week long school break and suddenly, you wish you were in middle school again. 3. When you get that sinking feeling every Sunday night at 11:05PM without looking at a clock. 5. When you say in your head (referring to your boss) "If she says that one more time . . ."
6. If you walk into the office 20 minutes early and you're still sweating. 7. If lunch time is the height of your day. 8. If your bathroom breaks start being longer than 20 minutes. 9. Three executives turn in their resignations on the same day and scream out "See you later sucka's!" as they burn rubber out of the parking lot. 10. Every time you see a 4 x 8.5 inch piece of pink paper you jump out of your skin. 11. You overhear the word "bankruptcy" in hushed tones at the monthly Executive Team Meeting. 12. You saw your boss naked by the recycled packing peanuts - you didn't stay long enough to find out why. 13. You did a stripper pole dance at the company's holiday party, have no recollection of event, but discovered footage on YouTube (you got 15,499 views though!). 14. You have this unyielding yearning and urge to follow your dream and time is running out. All of these are really good reasons to quit your job. But number 14 is the best reason. Don't be a chump. You would most likely have your resume in circulation for any of the reasons numbered 1-13. Don't disregard 14. You are worthy of following and fulfilling your dreams. And okay, maybe you can't see your life without a job that pays the bills. Maybe you don't actually believe that your dream could sustain you and your family. That's fine, believe that for now. Then at every waking moment of your life, outside of your job and immediate obligations . . . work toward your dream. Every minute you can, even if it's only 30 minutes a day. A little progress is . . . guess what? . . .progress! So today, promise me. Even it's imaginary. Even if it's in your head. Quit your job. And grab onto your dream. 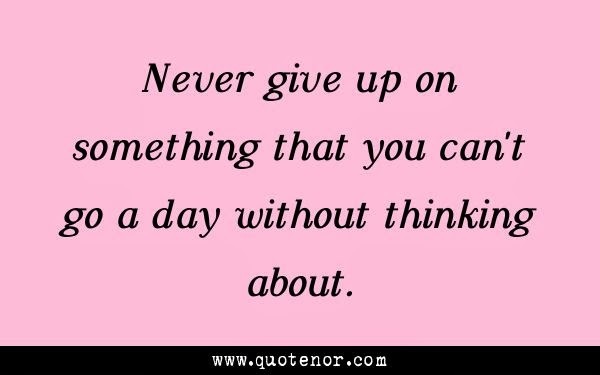 If you are thinking of something everyday and not doing it . . . what's wrong with you? Stop thinking about it and do it. Take every opportunity to do it. Don't let anything stop you. This is your happiness. Freakin' TAKE your happiness - they're not going to give it to you. You need motivation to follow your dream? You are in the right place. Read this blog! You need ideas to get extra cash so you can take the first step toward your dream? You are in the right place, read this blog! You need someone to hold your hand because you are afraid of doing it alone, I'm here for you. But dude, just doing something! Go for it! And don't stop until you get it. When you feel like you just can't . . . I tell my children all the time: there is always another way. If you want to achieve something know this, there will always be obstacles in the way. There will always be challenges. There will always be the excuse of not enough time, not enough money, not enough knowledge, not enough energy. Don't let those obstacles matter . . . there is always a way! Doing something about it . . . no matter how un-optimal the situation or the resources. No matter how humble the environment. No matter how penniless you are. Do something. That something is still progress. Look at that picture above . . . look at it. That's progress! Take a step toward your dream today. No matter what obstacles lay ahead, stay strong my powerful and influential friends. We are so backwards! We just seem to not understand how life's process works. If no one has dared explained it to you yet, here it is: To have something you really want, you must do that thing before gaining any reward. There, I said it. The old adage: "I'll believe it when I see it." Actually is false and contrary to how the world actually works. Let me give you an example, to be the greatest painter in the world, you must paint. You must paint, and paint and paint until you create a masterpiece. You can create a masterpiece, but then you have to share it. If you share it with the masses and they deem it valuable THEN you may get money for your work. Notice that in this scenario while you were working on your paintings you were not given a dime. Most artists do not gain anything for all their hard work and toil. But they create anyway. It makes them happy. It allows them to feel fulfilled in their lives. It is their calling and they are passionate about their work -- so passionate that they will do it even without any monetary gain. The same concept applies to everything in life. You have to do (whatever it is you do) first before anyone will recognize it. That's where the concept of not waiting to live comes from. Seriously, I want you to do a small experiment. Think of something you've always wanted to do, or the person you've always wanted to be. Now, imagine how that person would act day by day. What their environment would look like. Now imagine playing that role. Let's say, you would like to be a CEO of a company you created. Imagine how a CEO is treated, what her office would look like. What types of people would she meet or hang out with? What are the things the CEO would do on a daily basis? Got the full picture in mind? Good. Now for seven (7) days, ACT like a CEO of your company. Dress like a CEO, talk like a CEO, meet and greet people like a CEO. Be the CEO for seven days . . . and see what comes to you. In essence, I'm saying to acquire your goal, you have to live your goal as if you've already attained it. Les Brown, a famous motivational speaker said in one of his talks. That you have to do what you were called to do. If you love to sing - sing! Sing to anyone who will listen to you, even if it's just singing to yourself. If you love to write - write! Even if no one wants to publish what you write, write it anyway. Doing what you've always wanted to do, will attract the people and resources you need that will make this activity profitable for you. Don't believe me? Then take the challenge, don't wait to "have" your dream come true. 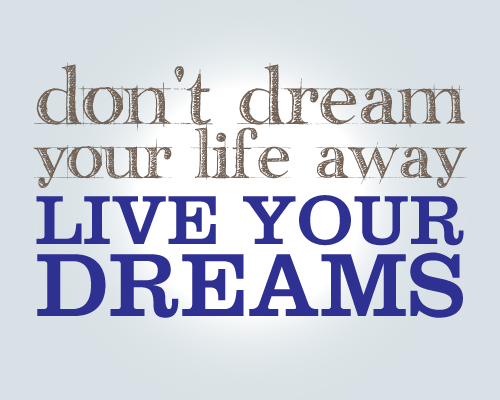 Live your dream right now. Live it for seven (7) days. For seven days do your heart's passion (whenever you can) with as much enthusiasm as you can muster. On that 7th day, I bet you will find a resource to help you gain your dream, a person that recognizes your dream or a chance to live your dream. Come on! Take the challenge. It can do nothing but make you more powerful and successful. And that's what I want for you . . . because after all, I've always wanted powerful and influential friends! Let me know what happens to you after 7 days of doing your heart's passion! Don't forget. Ever think of something so great it had you smiling or laughing out loud? 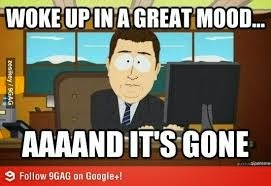 Whenever that happens, people around me say, "What! What is it?" Immediately, people want to be in on the happiness, the fun. 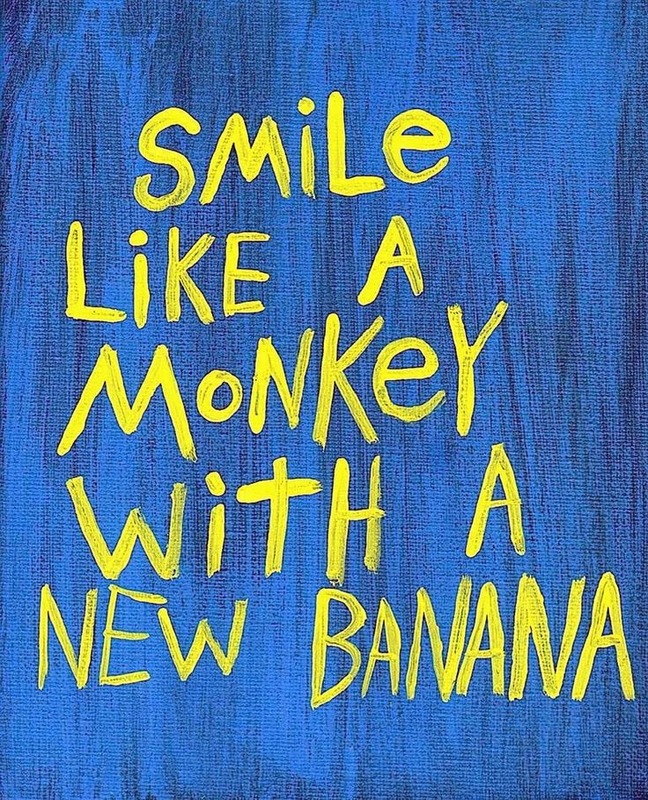 When you smile, or laugh or are generally looking like you are having a good time -- people (usually the fun people) want to join in and before you know it, you have a party! A group of smiling, laughing and fun-filled people IS a party after all. Be the party wherever you are . . . you will find success will soon follow. Click the box next to "Virtual/Work At Home"
You should get a listing of all their jobs that allow at least part-time work-from-home opportunities. Good luck in finding that telecommuting job! I can tell you this as fact. I used to wish for a life with less challenges and no obstacles. I used to bemoan how my life seemed to be riddled with unexpected stuff that I had to deal with constantly and how it was always getting in my way of doing what I really wanted to do. So, I followed the path of least resistance and found . . . nothing I wanted at the end of it. 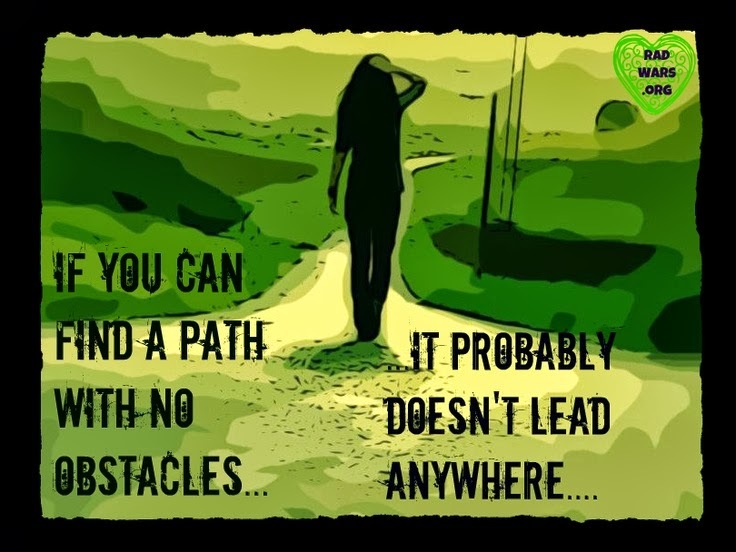 The path of "no obstacles" has NOTHING you want in the end of it. Believe me. Celebrate the obstacles and challenges. Be glad that you have the fortitude, the strength, the wisdom, the resources to get OVER, UNDER, THROUGH and AROUND those obstacles. In the end, you'll find everything you've dreamed of! I promise.